This dish is baked making it low-fat and healthier than its fried counterpart, but not lacking any of the flavor. 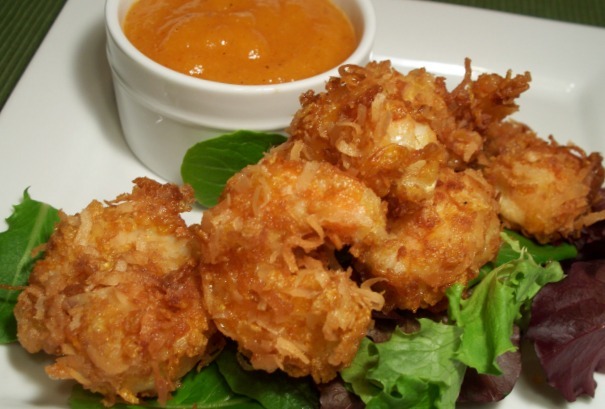 Succulent shrimp are coated with a light batter and topped with a sweet crunch of coconut. 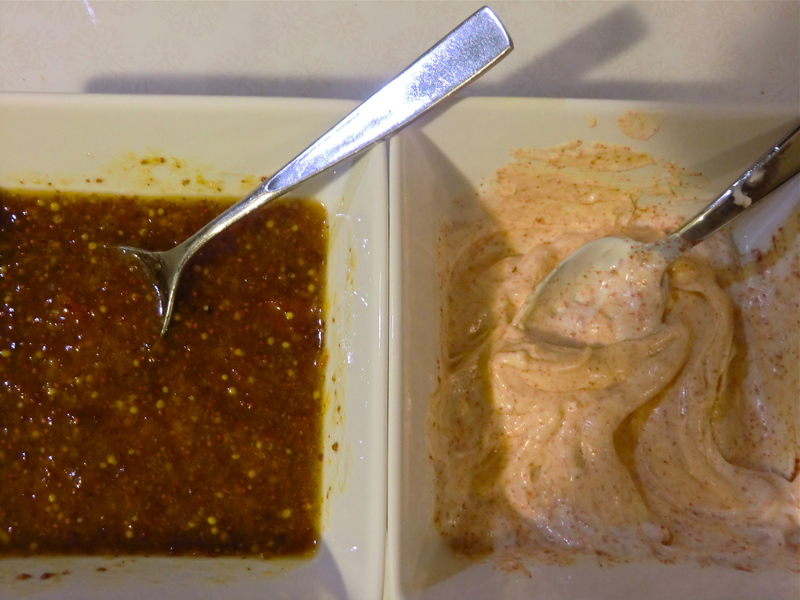 Choose from a sweet chutney-style dipping sauce or a smokey chipotle mayo to give your taste buds a kick. Serve when the weather is warm to bring a taste of the tropics to your own backyard. Perfect as an appetizer, tapas dish, or fresh and hearty dinner atop roasted spaghetti squash, asparagus, and red onions (click here for recipe). 1. Set oven to 375°F. Line a baking sheet with foil and generously coat with cooking spray. 2. 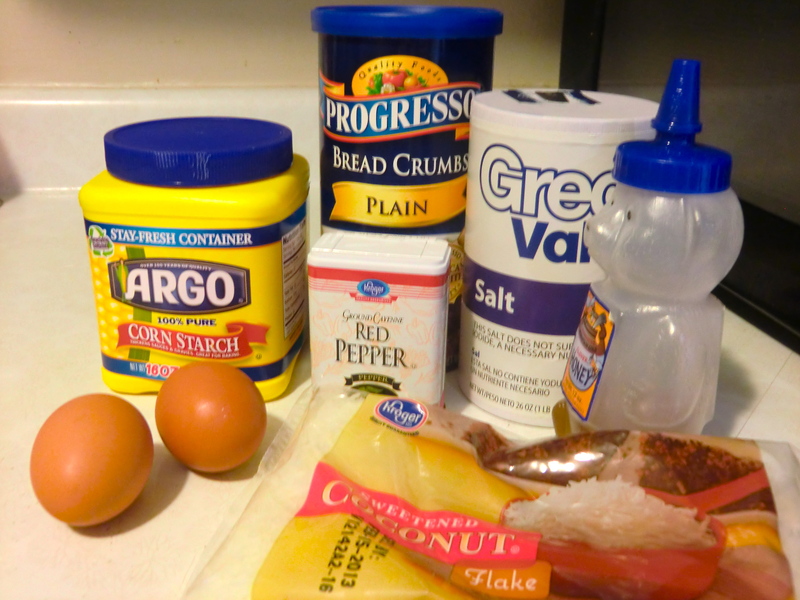 Spread cornstarch on a plate or shallow dish; stir in salt and ground red pepper. 4. 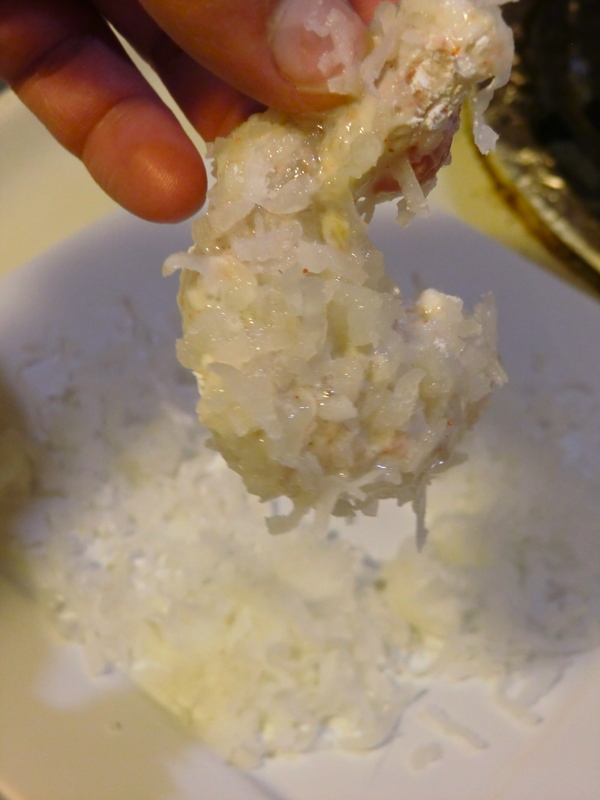 Spread coconut about one inch thick on a plate or shallow dish. 5. Rinse the shrimp under cool water and pat dry with paper towels. 6. 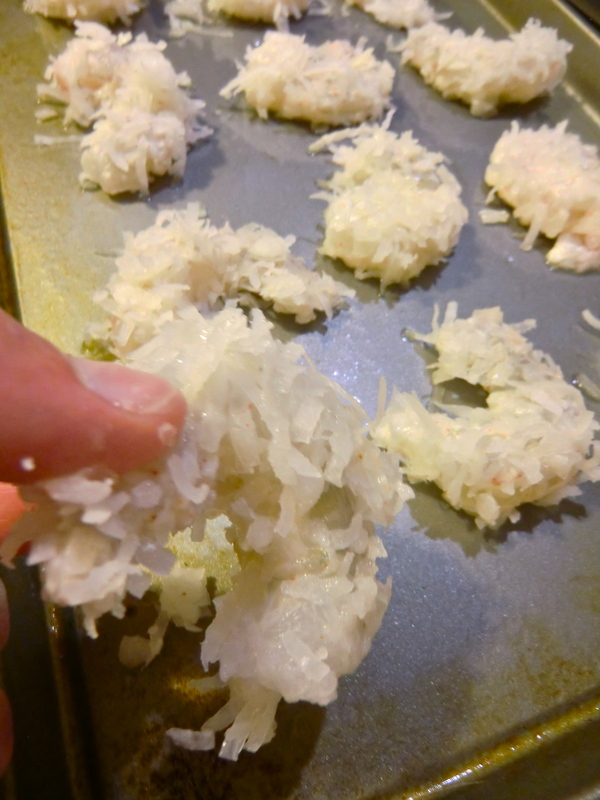 Preparing one shrimp at a time, dredge the shrimp in cornstarch, making sure its completely covered in a thin layer; shake off any loose cornstarch. 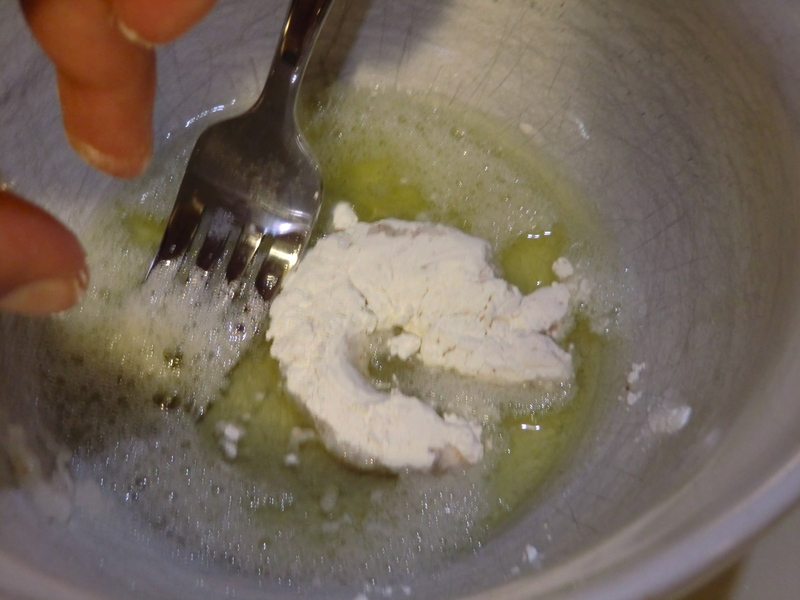 Dip in egg whites, then firmly press both sides into coconut. Place the shrimp on prepared baking sheet. 8. Lightly spray the shrimp with cooking spray. 9. Bake for about 20 minutes, flipping the shrimp after 10 minutes. 1. 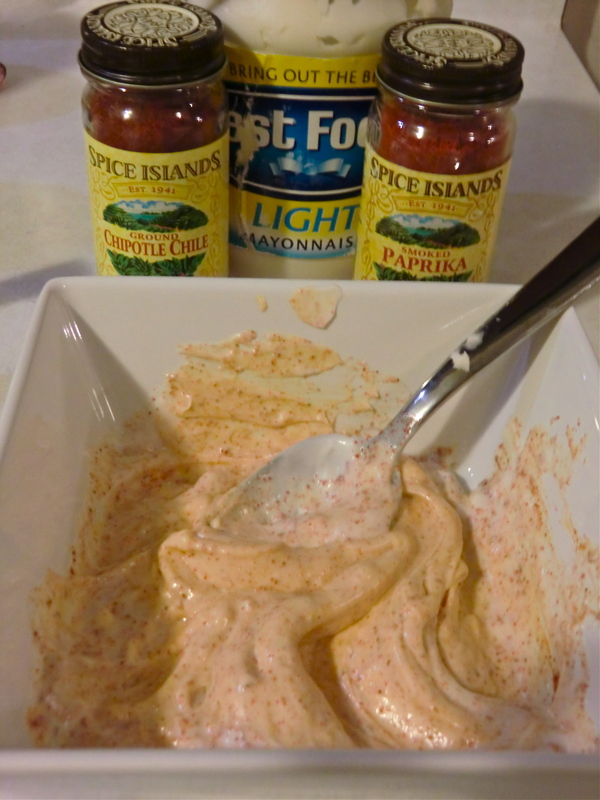 In a small bowl or serving dish combine mayo, ground chipotle chile, and paprika. Stir until well combined. 2. 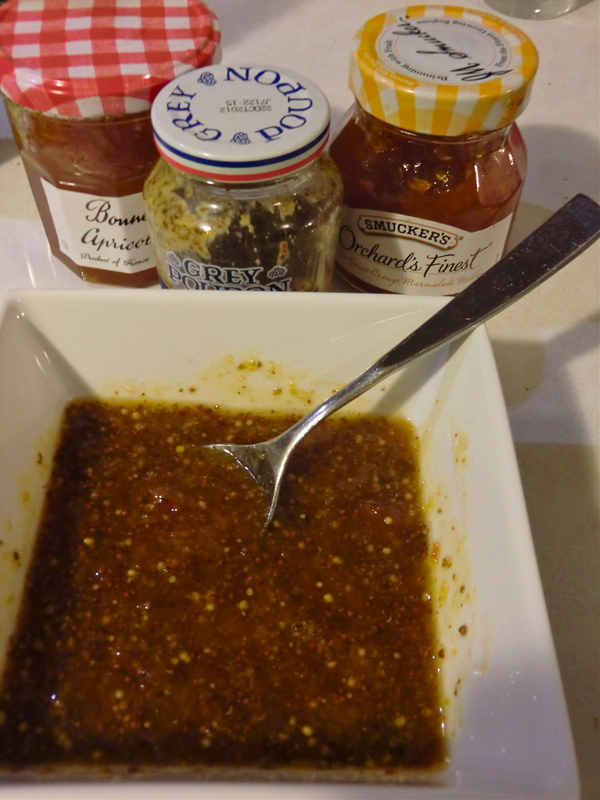 In a second small bowl or serving dish combine apricot marmalade, orange marmalade, and mustard. Stir until well combined. * To quickly thaw frozen shrimp: Place shrimp in a colander under cool water. after about 1 minute, turn the heat up to luke warm. Continue to run water until the shrimp are easy to squeeze and flexible. ** If ground chipotle chile is not available, look for a tin of chipotle chilies in Adobo sauce in the ethnic foods aisle of your local grocery store. Finely chop 2 chilies, maintaining a thin coat of Adobo sauce, and stir into mayo/sour cream mixture. *** If you are lacking an electric mixer, beat eggs using a whisk or fork until frothy – this approach will take longer.